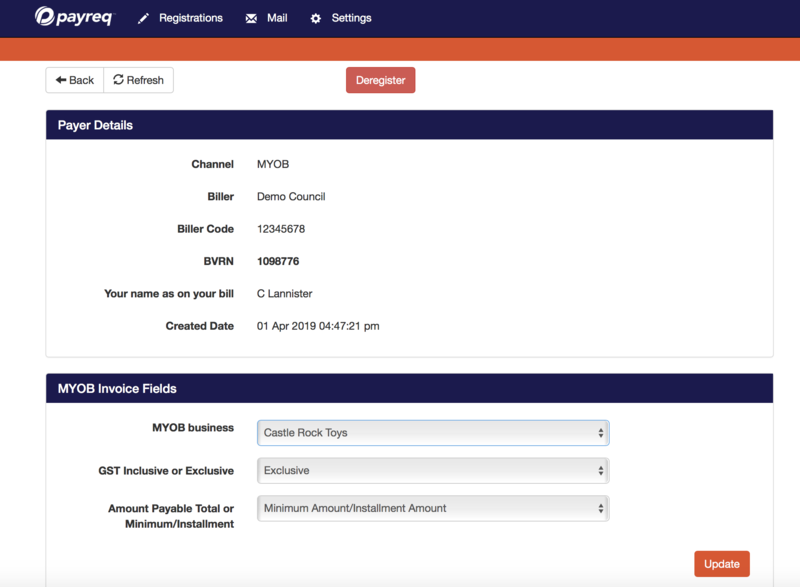 How to start receiving invoices directly into your MYOB In Tray? 3e. 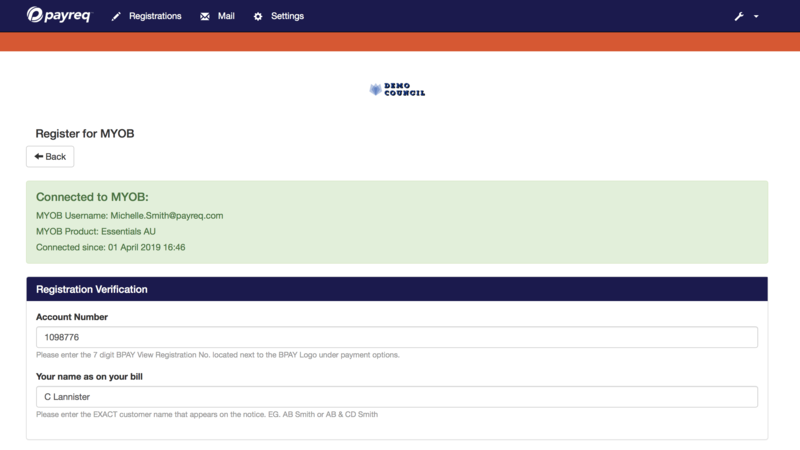 When the connection is successfully established the MYOB connection details will be displayed. 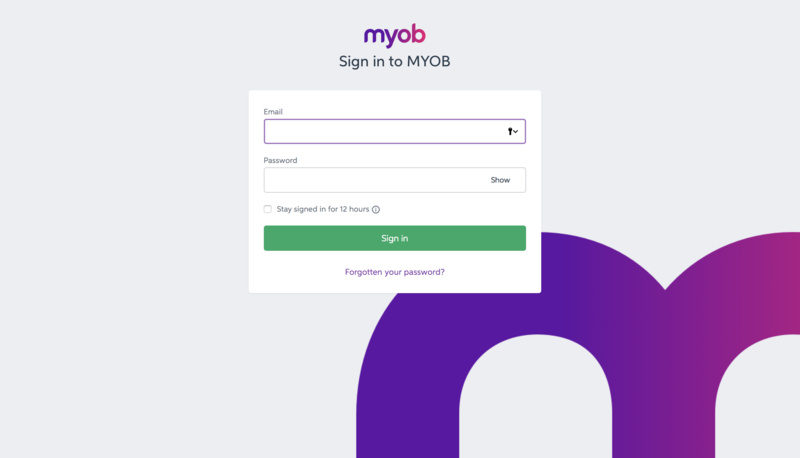 If the connection is unsuccessful the 'Connect to MYOB' button will be displayed, please repeat steps b to e.
4. 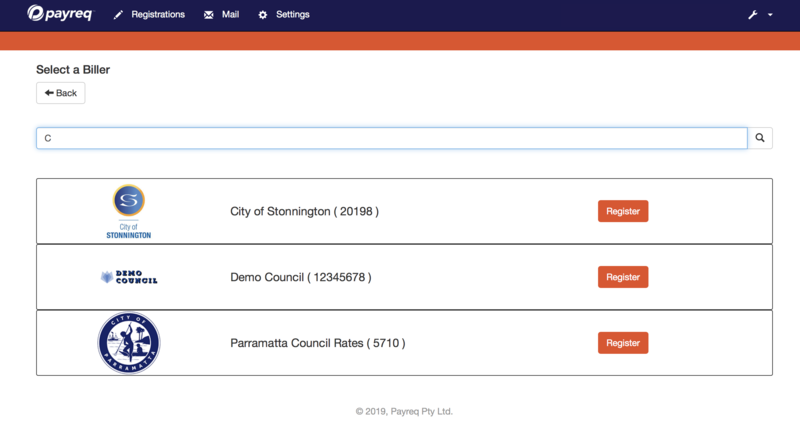 Register to receive invoices from a Payreq biller into your MYOB In Tray. 4c. Search for the biller you would like to receive your invoices from by Biller name or the BPAY Biller Code and click the register button. i. The verification information to allow the biller to verify you are able to receive the invoice. In the screenshot below enter the Account Number and Exact Customer Name as it appears on the bill. Note:// these fields may change from biller to biller. 4f. The registration has been created and is pending biller verification. 4g. Once verified the registration will move to Active and an activation confirmation will be received. 5. Sit back and wait for your invoices to arrive in your MYOB In Tray, ready for you to pay and reconcile. 6. 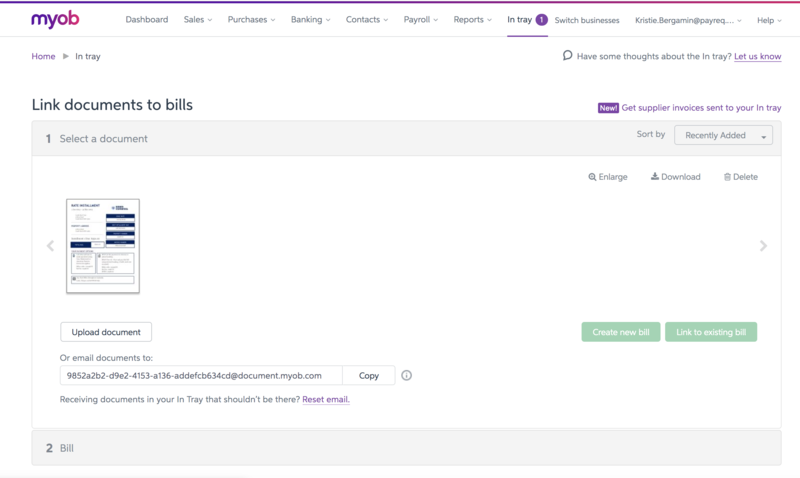 If later you need to update the MYOB invoice fields of an active reigstration click into the registration and edit the MYOB invoice defaults. © 2018, Payreq Pty Ltd.